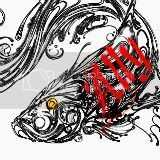 LauLanChu wrote: Please rate this fish. Taken from my cell phone. In my opinion, this is quite a nice fish. I took a few shots using DC so can give the fish a fairer judgement. This is a nice fish. It looks like a same fish from previous photo. Tail fin slightly small, lossing a bit of overall balance in term of appearance. Negative and Position comments are welcome. Sorry the photo is a bit blur. Balance and nice fish. Where is the source. Cannot see the tailset properly so can't comment. All along, I never notice why my Ryu don't look as nice. I think because the head is too long... Hahaha... any method to flatten the head? is this the one left and right excatly the same marking one?? Just to add on to with bro crossback said. The size of a ryukin head affects the overall appearance very much. Personal, when choosing a ryukin, i look at the head first! As usual, i got from my house market. Thanks bro crossback for your comments.